Speaker Paul Ryan supports the Obama Agenda, Amnesty, endless Syrian “Refugees” and rejects Donald Trump and what he stands for. Now there are billboards in Wisconsin that are pointing out how dangerous Paul Ryan is for America. 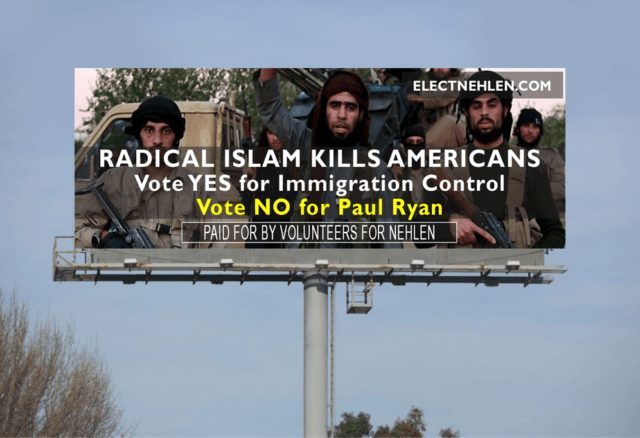 Supporters of Paul Nehlen put up billboards this week that are devastating to the Republican Speaker.